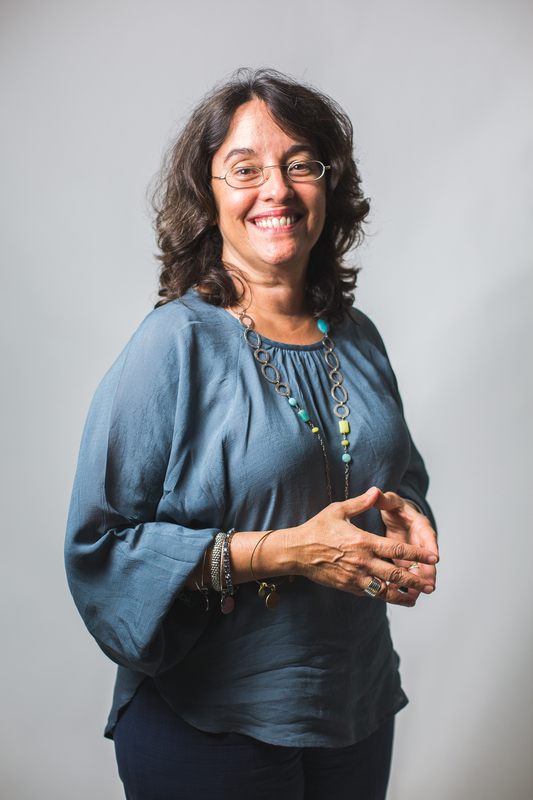 From lawyer and non-profit CEO, to city commissioner and corporate executive, Alba Martinez has made her mark as a leader in private and public sectors throughout Philadelphia, guided by her commitment to justice and equality. Alba Martinez is always curious — about the world, about you, where you come from, what you believe, and where you want to go. She asks people to tell their stories and listens closely as they share. So it’s no surprise that, in addition to the illustrious career she has built confronting the most challenging of obstacles in public service and private investment, Martinez herself has some hidden talents that aren’t always revealed right away on the job. “My dream is to play in a band at some point,” said Martinez, who has been playing bass guitar for years and would often play at events, gatherings, and protests when she was a law student in D.C. It is another dream that will no doubt be made reality by Martinez, whose determination and enthusiasm has driven her to accomplish goals and create and reform systems on the grandest stages throughout her career. 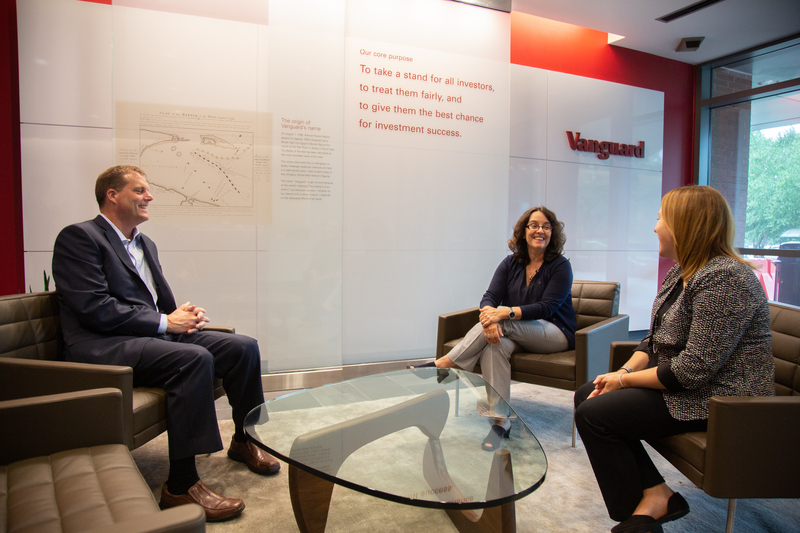 In her current role of Principal and Head of Retail Services at Vanguard, the world’s largest mutual fund company with over $5 trillion in assets under management and a mission to disrupt the investment system to make it more accessible, Martinez continues to bring her direct, transparent, and relationship-based approach to face any challenges in her path. Her management style is evident in the way that she is capable of flowing between strategy sessions to greeting and chatting with her many colleagues, including some of the 1,400 employees that she oversees, as she walks the paths of the Vanguard campus in Malvern, Chester County. Martinez, while discussing her career and vision as a leader, likes to talk about the “north star” that guided her when she took over as executive director of the Philly nonprofit organization Congreso de Latinos Unidos at the age of 28, or when she stepped into the role of Department of Human Services commissioner that many warned her would “ruin her career.” In Martinez’s view, she explained, having a “north star” is essential to accomplishing and moving ahead in any mission or purpose as an organization, and it is a value that has guided her from the beginning of her career. And so Martinez moved to Washington, D.C. at the age of 19 to study law at Georgetown University Law Center, with what she admitted was at the time a level of English proficiency that was “not strong enough.” This experience was the first time that she had ever really faced challenges in her career trajectory due to her identity, as Martinez encountered some colleagues, classmates and professors who were supportive, along with others who were not. Martinez said that it was “difficult and discouraging” because “they were pointing out something that was true. “I did have a gap, but what they weren’t doing was investing in my success,” she explained. “I realized I wasn’t going to let them win, so I leaned into the people that did invest in my success,” she continued, noting that her support system included her parents who were cheering her on from Puerto Rico and colleagues at law school. It’s a theme throughout Martinez’s career: acknowledge a problem, think about how to approach it, and then all that’s left is to work hard, build partnerships with those who have the same vision, and move ahead even when others think that your dream is impossible. For example, Martinez said that she chose the challenge of commissioner of the Department of Human Services even though Mayor John Street had first offered her the position of health commissioner when he entered office in 2000. “I think sometimes that type of utopian vision is really powerful and really healthy, because looking back on it, that was a bold and some people would argue unrealistic statement, but I truly believe that that was, again, the north star,” said Martinez. And though she may not have achieved that goal, Martinez and her team were able to transform the system through implementing performance-based contracting. Within five years, the number of children in foster care had dropped by 50 percent, while DHS also began allocating $100 million of investment into the creation of a prevention system. Martinez said that professional success in the face of immense challenges owes much to having a growth mindset, and embracing mistakes in order to learn. In addition to music, Martinez said that in her free time she enjoys supporting the arts and spending time with her partner, Roberta Trombetta, founder and director of the CB Community School, and their two children, ages 24 and 25. Martinez, who has been discussed as a potential mayoral candidate in the past and worked on then-mayoral candidate Jim Kenney’s transition team when he ran for and was elected mayor in 2015, said that “it’s wise never to say never” about the potential of her entering politics at some point, but that she currently is “excited and fully dedicated” to Vanguard’s vision of helping people from all walks of life achieve investment success through the new role of head of Global Acquisitions that she will be transitioning into come November. “I will say this, whenever the time comes to do something new, it will be in public service. I don’t know that it will be in politics, in elected politics, so to speak, but I will definitely return to public service,” said Martinez.